Surrender Nightclub Guest List: Free Guest List Access! 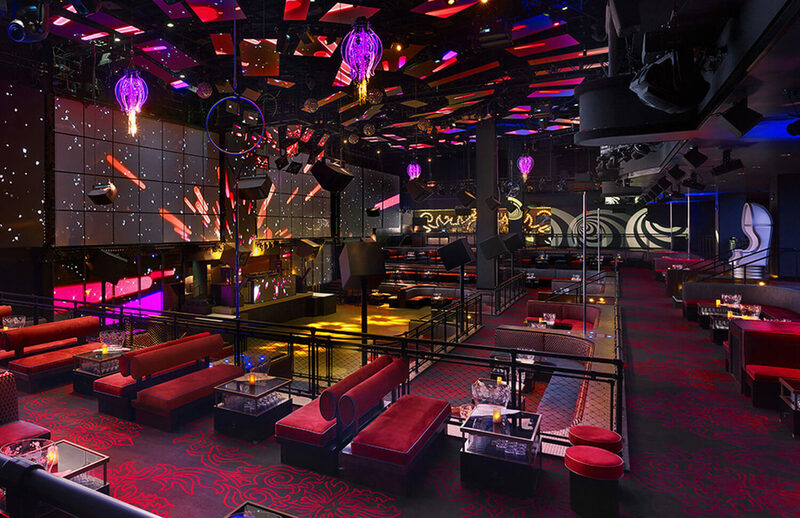 Prepare to give yourself over to Surrender Nightclub with its Asian-inspired theme. The design, music and dance floors make Surrender one of the hottest nightlife destinations on The Strip. Among other things it boasts a unique indoor/outdoor layout which makes this nightclub truly different. The interior is focused on the elevated DJ booth. Below that is a 120-foot long snake that runs the full length of the club and functions as the main bar. Outside is a luxurious environment of its own featuring its own DJ booth and dance floor. A special gaming area is located directly across from the pristine waters. Multiple cabanas with incredible views and table areas surround the outside portion of this luxurious hot spot. Find the hottest tunes and EDM performers like Yellowclaw, Flosstradamus, and DJ Snake. The dance floors–again, inside and out–are spacious and surrounded by dance music thanks to top-of-the-line sound systems. During the summer months you’ll find weekly EBC at Night and Night Swim parties. These special occasions mean you get to have all the fun of a nightclub including access to the amazing pools. And in the winter months–meaning chilly at worst–the outdoor area is kept warm and inviting. The entrance to Surrender Nightclub is located next to Andreas restaurant in the casino area, and the lines for entry line up down the center of the gaming area. No matter where you enter from, go to the middle of the casino floor and you’ll see the Surrender entrance. The Encore Las Vegas address is 3131 S Las Vegas Blvd, Las Vegas, NV 89109. The Surrender Nightclub has a strict dress code especially for men. So you won’t have any problems getting past the ropes, gentlemen should wear a collared shirt and/or sport coat as well as dress shoes. Avoid anything that can be considered sportswear (track jackets, jerseys, sports shoes, hats, etc.). If you have doubts about an item or an outfit, it’s best to play it safe and go for the dressier look. For women, fancy jeans and glittery tops or a figure-flattering dress with high heels are always acceptable. Flip flops of any kind will not be admitted. Read our Las Vegas Nightclub Dress Code guide.